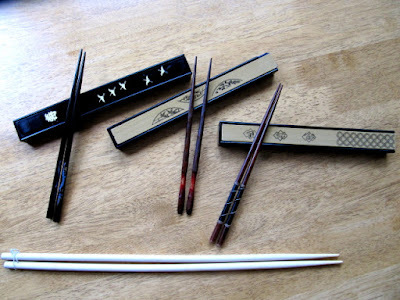 This post is not garden related, but is meant for all sushi lovers - go and get yourself a nice pair of chopsticks and a travel case and start saving trees! 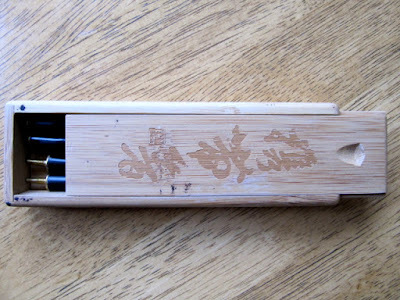 Disposable chopsticks (waribashi) are a serious global problem, responsible for deforestation in many countries. 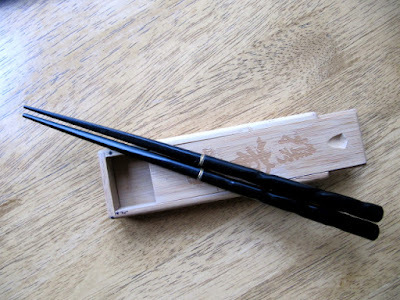 Each year millions of trees go into the manufacture of billions of disposable chopsticks. I will not get into this any further, anyone interested can find plenty of articles online. My family has their travel cases for when we go to eat sushi (we all love sushi!). Will it matter if 4 people bring their own chopsticks? We all have to start somewhere! 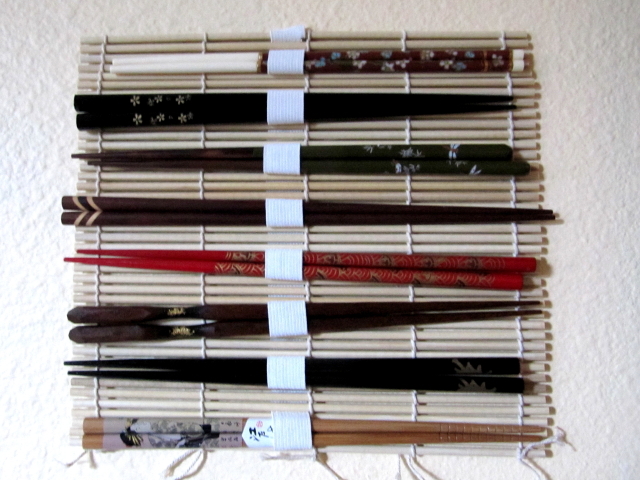 Here's how I keep my favorite chopsticks, I used a sushi mat and ribbon and hung it like a picture on the kitchen wall. 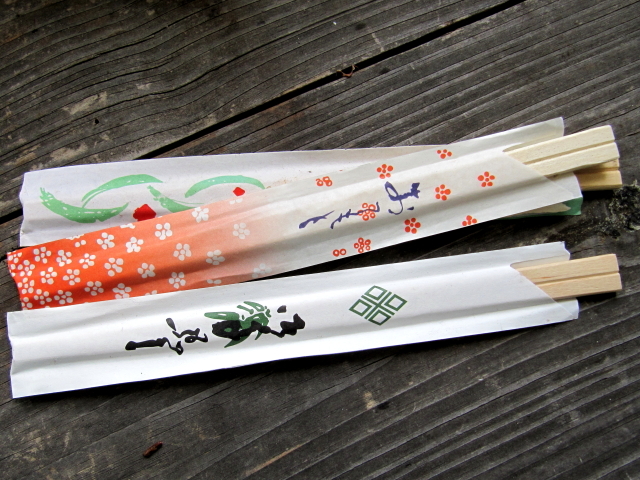 Every so often we do get the disposable chopsticks added to the take out order and I can't deny they come in handy in the garden. 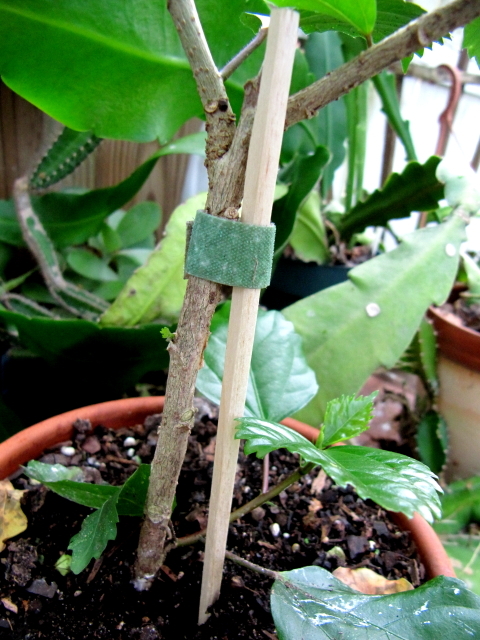 I use them to tie on growing seedlings, as name tag for plants or as a dibble. nice chops! I have a few too! 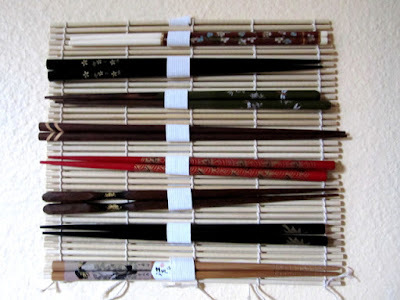 Those are lovely collection of chopsticks. Its really sad to note now that trees are felled for chopsticks! I refrain using chopsticks - still not good in using them, instead opt in using fork & spoon. Plus our personal chopsticks are easier to handle and feel better in the mouth.